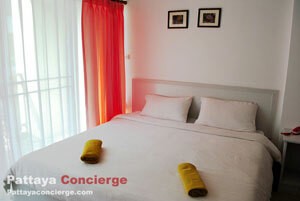 Malee Jomtien Room Service is as an interesting budget accommodation near Jomtien Beach, Pattaya. 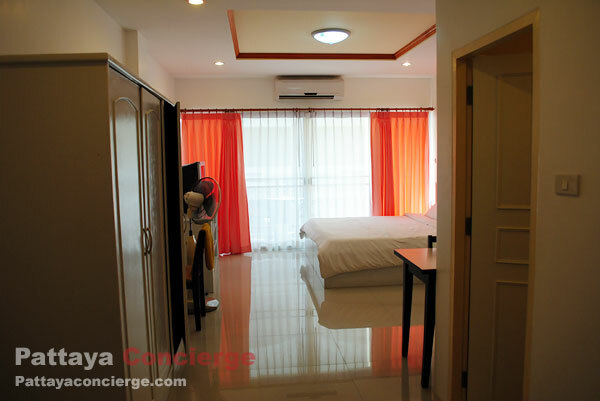 It is quiet and suitable for relaxation, the room is clean, the staff is quite friendly and helpful, and the room rate is not expensive. In other words, it comes with standard and good appearance. 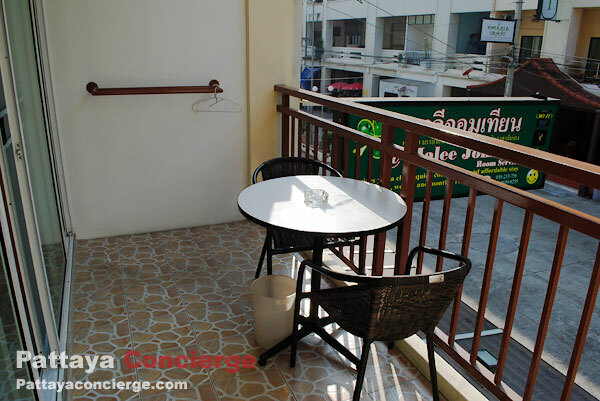 Guests can also go there by Pattaya’s public transport (Songthaew) because this room service is only about 150 meters far from the main street (Jomtien Beach Road), where there is a 24 hours convenient store next to the main street. Malee Jomtien Room Service just opened from 2011. 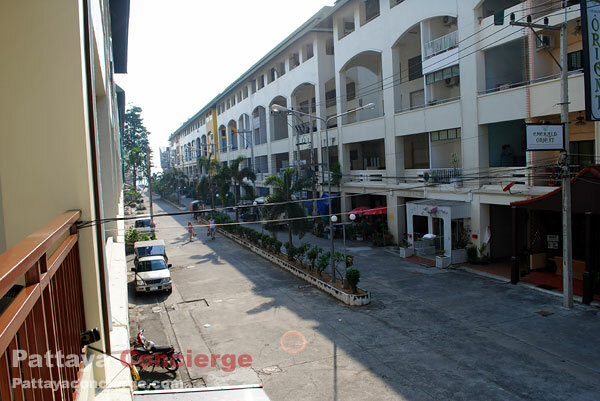 It is 2 blocks of five-story building, where there are 12 rooms (2 rooms with balcony and 1 without, on each floor). 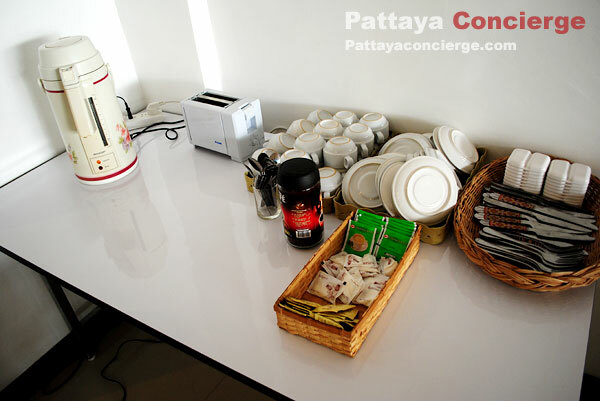 Lobby and free coffee corner are on the ground floor. 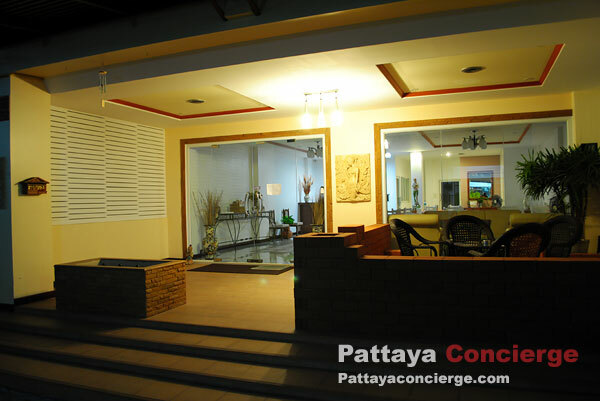 Stair to the room is not large but there is enough space on front of the room. In the evening, there are no staffs on site (if need, contact staffs by call), so guest need to use the tap to open the door for come-in or go-out. There is no breakfast here, though. In the case of the room, it is quite large. 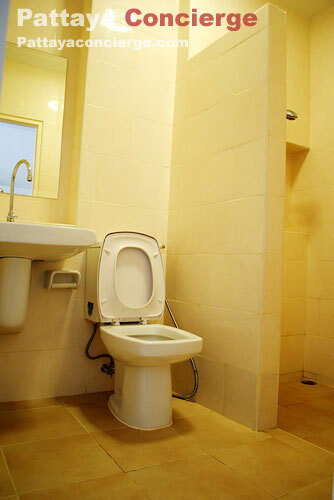 Its decoration comes with white tone, including furniture, and this can make guest feel space in the room. 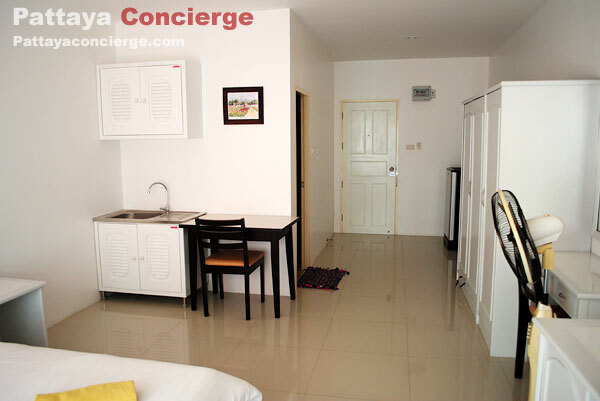 The room might also be decorated for monthly rent because apart from cupboard and table, there are also wash sink and small cabinets. 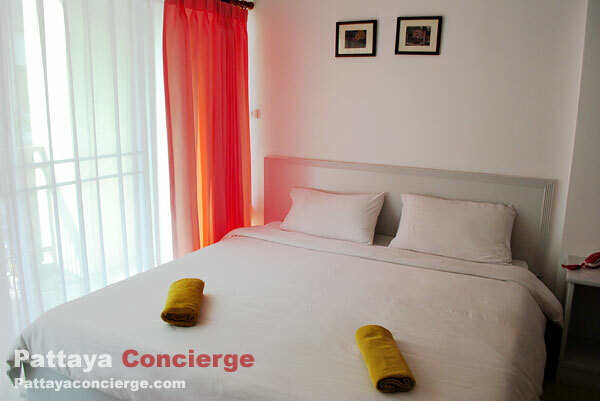 Facilities in the room are two complementary bottles of water, refrigerator, TV with many channels, 2 large towels, soap (no shampoo), Free Internet WiFi. Guest can check-in from noon and check-out before noon. 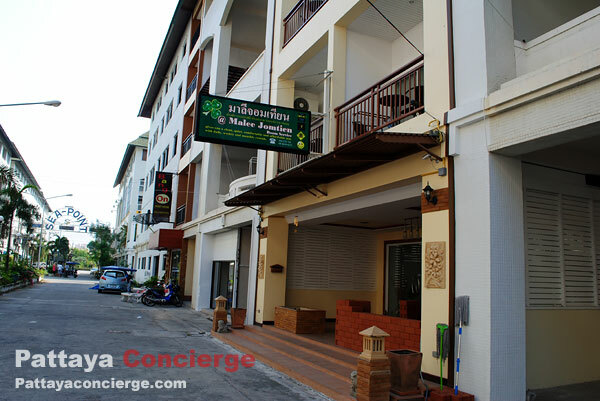 To get to Malee Jomtien is not difficult because guest can just take a Songthaew to Jomtien Beach and get off at The Now Hotel (next to Jomtien Beach Road). Then, walk a little in the soi next to The Now. 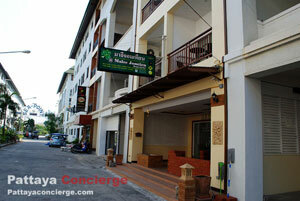 Malee Jomtien will be on the right-hand side (150 meters from the street). Negative points for this accommodation would be that the walkway from the building to the main street is a little dark. It can make a guest who comes alone feel uncomfortable or unsecure. Another thing is that there is no car park in the building. 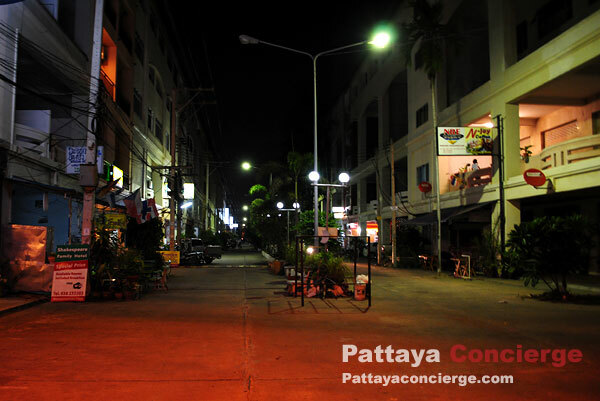 - Reasons: Not expensive, clean, be able to visit by public transport (and a little walk), not far from 24-hours convenient store (Seven Eleven), but not in the city center (15 minutes to the city center by Songthaew), no car park and a little desolate walkway at late night.